A man commits suicide on film by drinking a flammable liquid and setting his insides alight. This is the stunning, disturbing setup for Rachel Heng’s Black Mirror-style debut Suicide Club. What if technology progressed so that people could live for considerably longer, potentially forever? Given the number of people now living longer due to pacemakers, hip and knee replacements this is not an impossible idea. 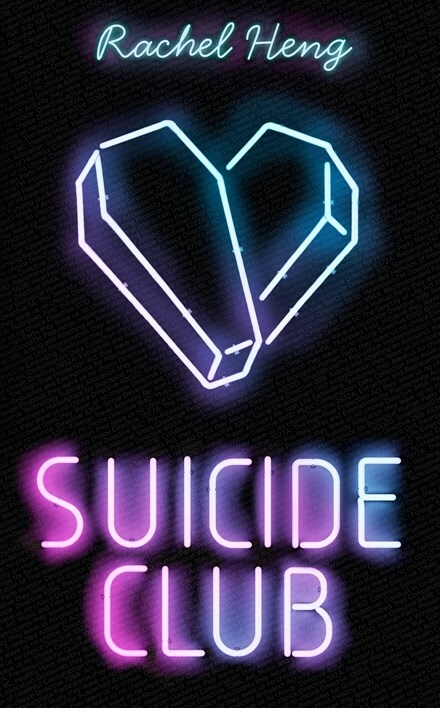 In Suicide Club, this potential for immortality is known as Phase 3 and is the deepest wish of those in Phase 2 whose lifespans have already been extended well into their second century. Lea has just celebrated her hundredth birthday. Lea is a Phase 2, living an ascetic life to try and ensure that she is chosen for Phase 3. But her life is thrown into disarray when she spots her criminal father, missing since she was a child, and due to an accident is placed under surveillance and into counselling where events from her childhood come back to haunt her. At the same time she meets Anja, who is deeply involved in the Suicide Club, a group dedicated to challenging the orthodoxy of the long lived. However, it is never clear which side Lea wants to be on as she joins the Club then starts informing on its members. Rachel Heng’s premise is an interesting one. But the regime that her characters live under is not developed enough to really understand the motivations of the Suicide Club and Lea’s actions are a little erratic so that, in the end, the plot does not quite land. But Heng still does a good job of making readers consider the issues associated with extended lifespans and what might be lost as a result and what people might have to give up to achieve that goal.